I used two tags for my first tags of 2012. The first is a piece of heavy clear plastic I cut from the box our Christmas crackers were packaged in. 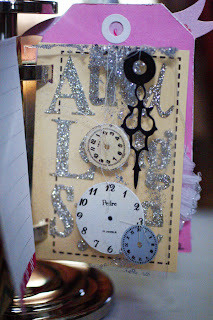 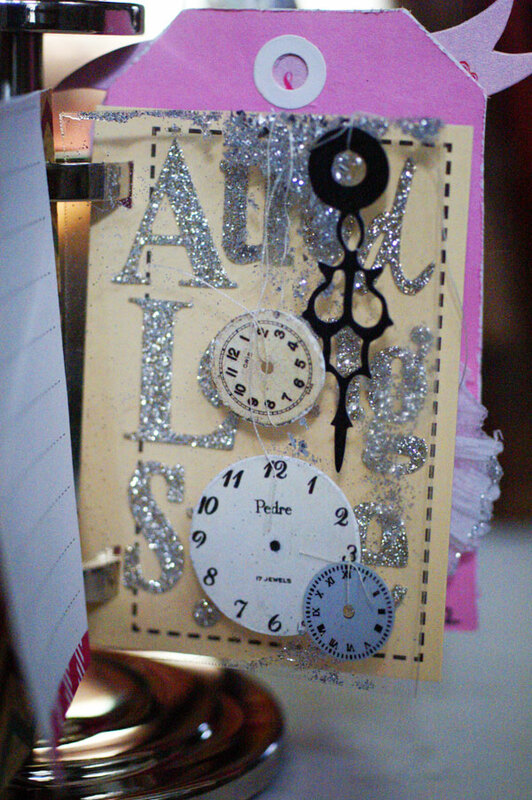 I sprinkled some fine and chunky silver glitter down the front side and adhered or tied on a few clock faces (two die cuts from K&Co, and one metal one from Paper Studio) and a die cut of clock hands (also K&Co). 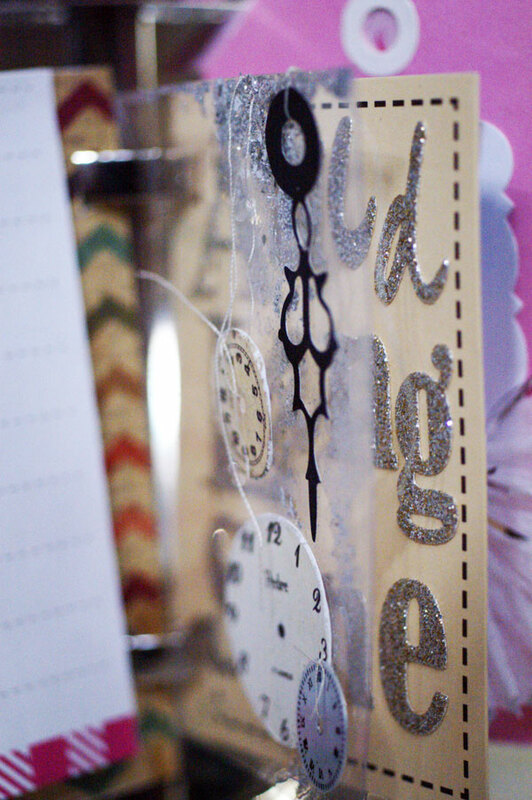 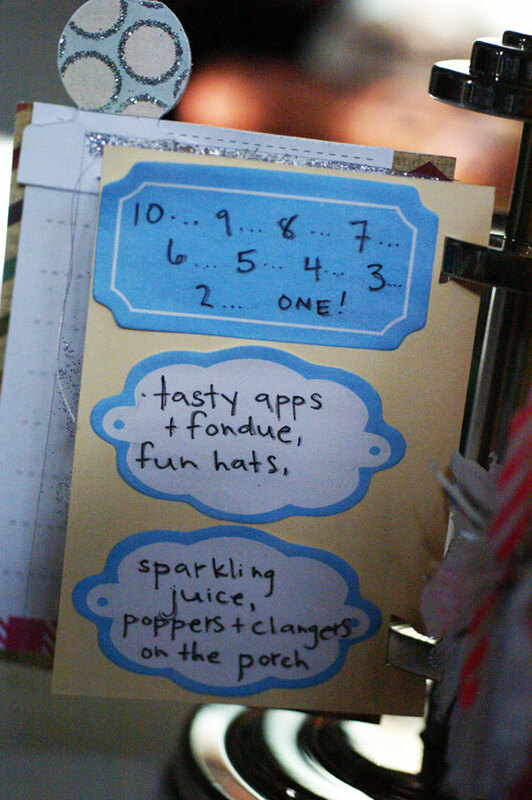 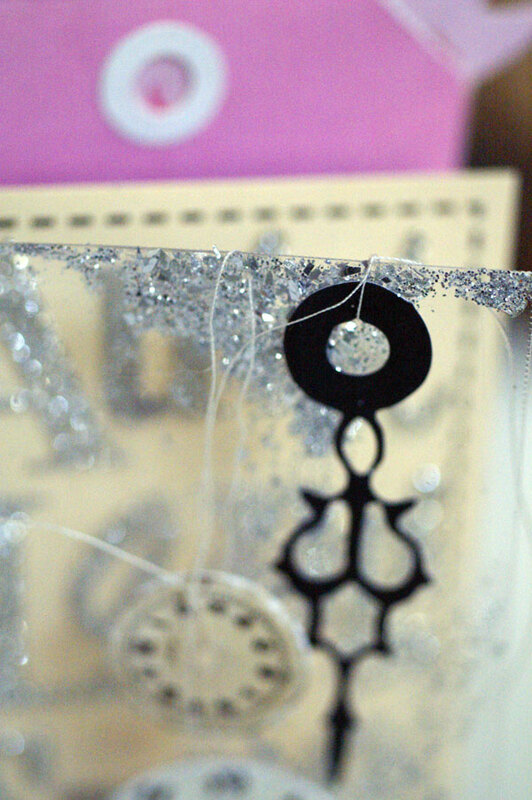 These things (time and glitter) remind me of New Year's Eve. 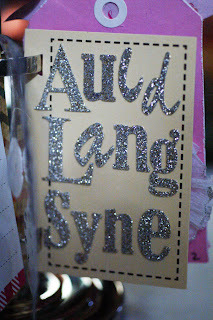 On the second tag I used glitter letters from the dollar store for Auld Lang Syne, and then on the back used sticky notes (Hampton Arts) to write about our New Year's Eve here at home with everyone.